This section is Part IV of Flight of the Bumblebee, originally run at the Lucca Games 2013 convention. It provides a summary of game statistics and other handouts. Click here for Part III, Shadowfall Manor. Give the players the pre-generated character sheets and the Bumblebee map and key, and start having fun, already! This adventure is Part III of Flight of the Bumblebee, originally run at the Lucca Games 2013 convention. 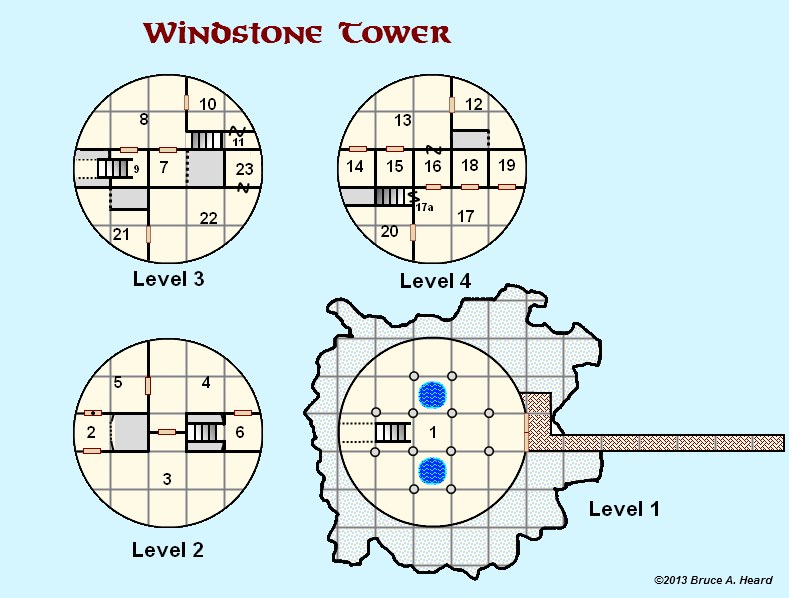 Click here for Part II, Windstone Tower. Give the players the handouts showing outside views of the manor, and read them the text printed in brown. From the Outside: Shadowfall is of a square design, 50’x50’ at the base, with a tower dominating its northeastern corner. A six-foot-tall outside wall featuring an ornate wrought-iron gate encloses the domain. On the house’s north side lies a small cemetery. The surrounding yard looks somewhat neglected, with weeds overgrowing what once was an elegant garden with topiaries and flowerbeds. A small statue smudged with bird droppings stands in a pool now filled with dead leaves. A gravel path leads from the gate to a set of double doors in the manor’s southeastern corner; a wooden awning keeps in the shadows an open gallery just above. A terrace on the third floor partially surrounds the tower. 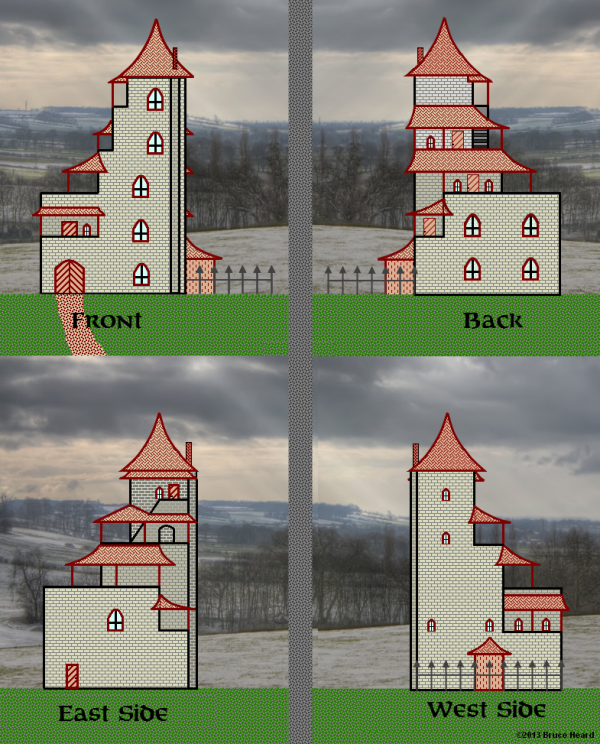 Judging from the windows, the gray and black, Gothic-style manor stands six levels high, including a peaked roof on the tower. All windows are heavily barred. Heavy in the day’s gloom, clouds run steadily to the south, chased by the hills’ cold bluster. A murder of crows caw in the distance. The manor’s walls are built mostly of stone, while floors and roofs are made of wood. A chimney conduit near the N-E. corner leads from the ground floor to the tower’s roof. A creature the size of a cat could get through this opening. Unless listed otherwise, window panes are colored and hard to see through from the outside. Windows can be opened from the inside. Most rooms have one or more windows. For simplicity, they will not be mentioned in the individual room descriptions that follow, unless players ask about them. Levitating incorporeal spheres provide a faint and sallow lighting in windowless rooms. There are no mirrors in the house. Secret doors reset themselves within a few rounds of being opened. A bell from a grandfather clock somewhere in the manor tolls every hour. 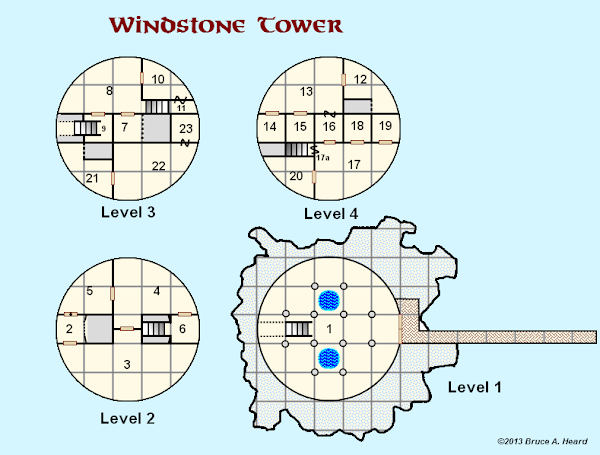 Map Key: Windstone Tower sits on a small cloudstone island, at about 10,000 feet altitude above the town of Ailpon in Floating Ar. Clouds mask the island’s approach and give the site a forlorn appearance. A large boom and gangway extending from the island’s rocky base provide mooring to visiting skyships. Based on the position of windows, the blue-gray tower stands five levels high (including an open-air level on top), about 50’ in diameter. All windows are heavily barred. The tower is made of levitating cloudstone. Unless indicated otherwise, incorporeal spheres provide lighting in all rooms. Secret doors reset themselves within a few rounds. All "pie-shaped" chambers larger than 10’x10’ (except for the Main Hall) have one window centered on their outside walls. Glass panes are colored and hard to see though from the outside. Windows can be opened from the inside. If the party circles around the tower, they will find a dead Heldannic Knight lying on the rock. His armor and helmet are slightly crumpled, and blood has poured from his nose and ears. Closer examination should reveal his cranium was badly fractured (he was a victim of the trap in Area 9). Bruce Heard—Lucca Game Fair 2013, Part One of Four. H.H.M.S. Bumblebee is the party’s skyship, a vessel recently purchased by King Qissling of Floating Ar for his air fleet. Pre-generated characters are randomly distributed to the players, along with player handouts depicting the skyship’s deck plan and key. Player characters should be top-ranking officers: Captain, First Mate, Master, Captain-at-Arms, Master Artificer, Master of Engines, etc. Include the Purser in the initial party to make sure a character with thieving ability is available. Additional NPCs can replace eliminated PCs. The adventure is intended for a party of 5-7 adventurers, levels 7-9. To the players: You are skyship officers in Floating Ar’s air fleet, currently assigned to the H.H.M.S. Bumblebee. Your standing orders are to patrol the skies of Floating Ar for smugglers and other intruders, and actively pursue them. Your vessel is presently moored in Skyreach, awaiting resupply. To the Captain and First Mate: You have been invited to a reception at Prince Qirklin’s residence. You know he was an illustrious peer of yours from your time at the Skyship Academy, so you do trust him. While you attended the reception, the prince spoke to you privately, asking for a favor, one with a good reward for all among the crew and officers of the Bumblebee. He requested your ship quietly make for the floating isle of Windstone, just a few hours away. Your secret mission is to secure its owner, Belsaphet the Sage, as well as a magical mortar carved out of malachite and a large silver flagon full of a refined oil bearing strange properties. All must be brought to Skyreach as soon as possible as treachery may be in the works. The sage’s research is critical to the kingdom’s security. Should the sage meet an untimely end, his complete remains must be brought back as well so he may be revived to continue his work. The mission is secret but should not interfere with the Bumblebee’s current standing orders. 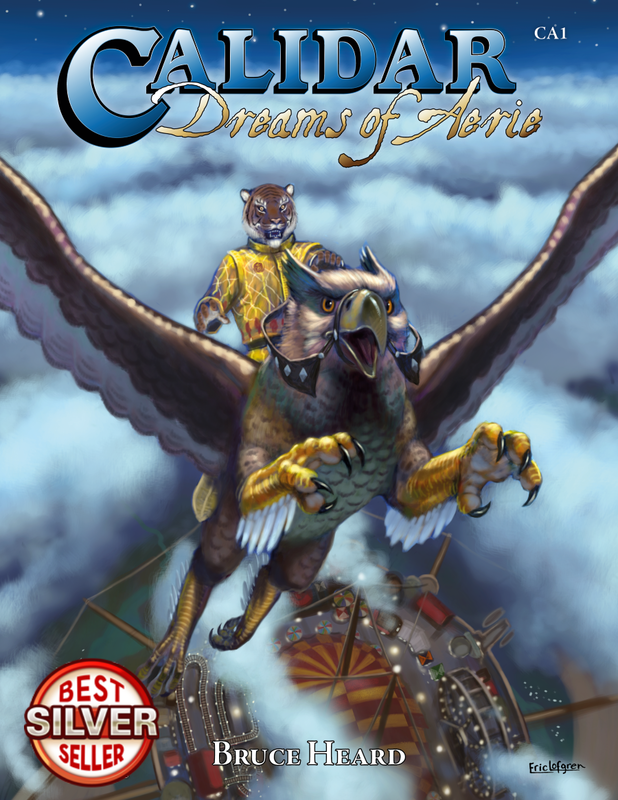 Prologue: By the time the party reaches Windstone Tower, the Heldannic warbird Talons of Faith hides in a bank of clouds, waiting fort the Bumblebee’s crew to explore the tower. The knights will ambush the party’s ship when she attempts to set sail from the tower. Windstone Tower: Heldannic Knights already stole the malachite mortar and decapitated Belsaphet. The oil is still hidden in secret vault with a few other valuables, which the party may, or may not discover at this time. If questioned, the sage’s raven companion, Nevermore, will reveal clues about who committed the crimes: Craak! Men on a big eagle in the clouds killed Master. Took Master’s head. . . took Master’s head. It agrees to join the party—useful since it can talk to other birds in the area which will help the party track the escaped skyship (there are plenty of other ravens, hawks, seagulls, and geese to be found if one looks for the knights). If the game bogs down, Nevermore can help get the party going in the right direction. Ambush: Soon after the Bumblebee’s departure from Windstone Tower or as the crew attempts to set sail, the Talons of Faith ambushes the party. After a short aerial battle, the knights board the Bumblebee and fight to the death. The knights will try to make a run below deck. 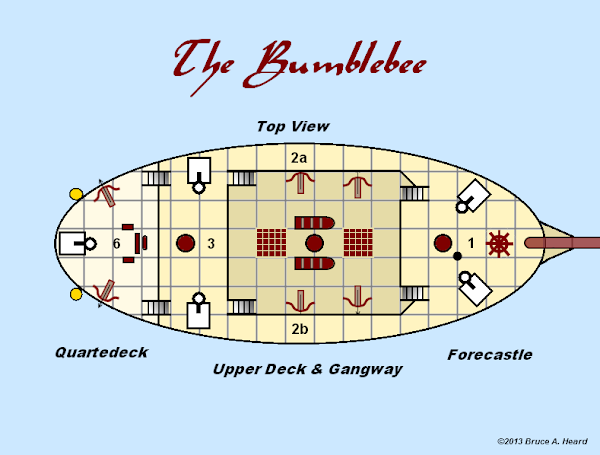 While some stay behind to block access to the companionways, the others seek to destroy the Bumblebee’s steering mechanism, after which they will look for the silver flagon in the captain’s quarters. If the party gains the upper hand during the battle, the knights’ commander retreats to his quarters and sends a message to the Heldannic Order’s high priest. When the party finds him, he burns his magical communication scroll, seizes his sword, and fights his ultimate fight. As I suspected, the bloglist did not update to show my latest post. If you see this one, be afraid--be very afraid-- for it's Halloween after all. Also, click on this link to access my big announcement regarding the World of Calidar project. And Happy Halloween to you all! Now that the project is well under way, I believe time has come to say more about the World of Calidar and who is part of the creative team. As I'd pointed out earlier, this fantasy setting is entirely new and does not rely on any specific game system. Calidar emphasizes skyship adventures. The final product is intended to include a gazetteer and a poster map. 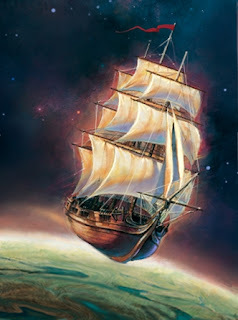 Written materials should amount to at least 80,000 words, of which 60% will be a story unveiling the adventures of the Star Phoenix and her crew under Captain Isledemer d'Alberran's command. The latter are inspired from the Princess Ark episodes published in Dragon Magazine twenty years ago. Though the ship, her crew, and their strange new world are different from those of the original series, the analogy remains intact in style and spirit. The campaign set (color) will be available both as an e-product and in print. Because of print-on-demand limitations, the poster map will be offered separately and in print only. The vast majority of its population came from three lunar empires—the humans from Manaan, the elves from Alorea, and the dwarves as well as their gnomish cousins from Kragdûr. The fellfolk, a race of small but fierce people, are the planet's original inhabitants. Calidar is imbued with a feral magic hostile to the expansion of civilization, a dangerous world only partially settled by the three outer world empires. A central region called the Great Caldera, a three-thousand-mile-large crater partially filled with an inner sea and ringed with towering mountains, serves as the cradle of civilization. There, the empires overcame nature’s ferocity and established sprawling colonies. But over time, they rebelled and, after a long period of conflict known as the Sky Wars, the new realms earned their independence from the overlords. A fragile truce now remains between the three empires and their former colonies. Beyond the Great Caldera lies what is known as the Dread Lands. The appearance of the substance in Calidar’s soil is predicated upon the health of that world and its moons. It is believed that all magic comes from the beating heart of Calidar, tying together not only Seitha but the souls of the dead and the very lifeforce of all that dwells on its surface, in the skies, and beyond—be it flora, fauna, or sentient kind. It is strong enough to enable gods to spring from the inhabitants’ spiritual beliefs. Indeed, Calidar is unique in that the divine did not create this universe and its people. It is quite the opposite. To each world its own gods, demi-gods, epic heroes, and demons competing to retain the favors of mortals who created them, and to sway the minds of others for the sake of eternal hegemony. . . or oblivion. Airships of Calidar are as varied as its people, whether spacefaring or not. Let’s start from the ground up: with the dwarves of Kragdûr. These fellows aren’t wizards, yet they build flying ships. Theirs are brutes of steel, fire, and brimstone. In keeping with their own love of things from the ground, dwarves fly powerful dreadnoughts whose hulls and superstructures are made of forged iron, steel, brass, and copper held together with rivets. Cannons are their weapons of choice. They use coal and special minerals found on their moon, providing lift and thrust enough to propel their massive beasts. Kragdûr dwarves favor a harsh warrior-like culture. Human-built skyships of Manaan are far more varied than elven or dwarven designs. They stand anywhere between the two extremes of demi-human ships, blending metal and wood in various proportions. Manaani commanders generally favor maneuverability over speed or strength, which implies a preference for galley designs. Style-wise, they depend on the region of origin, somewhat like real-world 16th Century galleasses and 17th Century galleons that can be fitted with auxiliary oars. This implies an inverted tri-mast design (two sets of upper masts angled in a V-shape and one set of vertical masts underneath the hull) to allow clearance for the banks of oars. They usually rely on combinations of magic and mechanical devices as main deck weapons. The Manaani are highly religious people, for better or for worse. And what of native Calidar vessels, you might wonder? These ships are even more unpredictable as they mix and match designs from either of the three moons, making foreign observers cringe at certain very, very odd concepts. This habit goes back to the time when colonies broke away from their outer world overseers, and had to use whatever they could seize in combat or recover from wrecks. Anything goes, merrily blending dirigibles, wind sails, steam-powered paddle-wheels, mixed-dwarven and -elven medieval wood-and-steel bio-mechanics, ethereal ley line nets, four-winged flying beasts, and so on. There’s more. . . how about the scaly, acid-spewing, glistening vessels of the evil Draconnic Knights? Giant flying junks and armored turtle-ships claim the skies in faraway Lao-Kwei. At last, let’s not forget the space Vikings with double- or triple-deck longships feared by all, including the mysterious starfolk. Before proceeding further, I would be remiss not to introduce the talent behind this project. I’ll skip the writing part since you all know where it comes from. Instrumental in capturing the physical appearance of Calidar, Thorfinn Tait, from Akita, Japan, stepped forward months ago to handle the world's cartography. 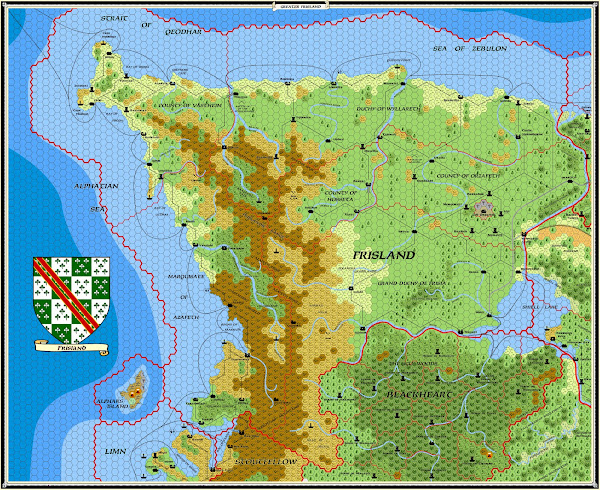 Thorfinn is best known for his work on Mystara maps during the past twenty years. From the onset, he and I worked to fit Calidar’s continents around a globe, ensuring an accurate and very recognizable depiction. Ben Wootten, a concept artist and illustrator from Wellington, New Zealand, will paint the cover art. His portfolio includes design work for the Lord of Rings movies as well as art for Wizards of the Coast and Pathfinder among many others. His incredible appreciation for nature is evident in the creatures he draws, both real and imagined. [EDIT -- 12/03/2013] John Dollar will be producing pencil and ink illustrations. His extensive artistic background includes TSR's Ravenloft, Birthright, and Dark Sun, as well as FASA, White Wolf, and West End. 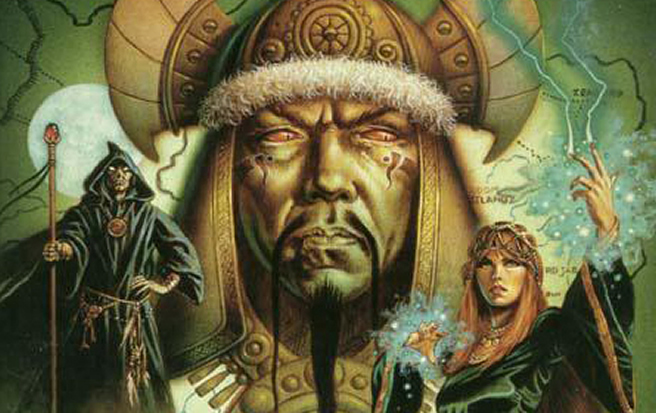 He also worked on Shadowhunters Codex by Simon & Schuster, Earthdawn, Star Wars, Tales of the Emerald Serpent, and Larry Elmore's Sovereign Stone. 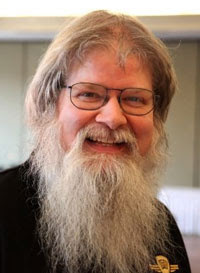 Last but not least, my good friend from Toronto, Canada, Ed Greenwood, creator of the Forgotten Realms and author of many related novels as well as a Mystara Gazetteer, has also kindly offered his time and talent to write additional material. With great talent comes great. . . never mind. Putting a product out on the market demands proper funding. As a result, a Kickstarter campaign is necessary to cover production costs. I am therefore asking all of you how excited you are about the World of Calidar. I posted a tentative outline for the campaign’s pledge levels below. From the surveys listed near the top of this page, select the pledge level and add-ons you feel comfortable backing. This is for information only. The first survey concerns pledge levels. The next one deals specifically with multiple-choice add-ons. Edit Dec 06 2013: the survey is now closed. Thank you all for your participation. Results indicate enough backers for at least basic funding, provided everyone shows up. Onward! The Kickstarter campaign is likely to last thirty days from early- or mid-December into January 2014. Your comments are welcome, either on this thread or to bruceheard@worldofcalidar.com privately. Be fair, be honest, and above all, be realistic. Because this is my first Kickstarter, this survey helps me get a better idea of how many of you feel strongly enough about this project to back it personally. Your responses will drive budgeting and whether the project will succeed at all. Ideally, the ultimate target is a product the caliber of a D&D Gazetteer—I’m sure most of you know what I mean. If pledges go beyond basic funding, then additional text, maps, and art should be forthcoming. Multiple projects in a single year also become possible with stretch goals. Bear in mind that the World of Calidar is a series of products, not just one single release. That’s all up to you. The Calidar Story: "In Stranger Skies" is the first part of the booklet—the story of how the Star Phoenix and her crew enter the Calidar universe. Cliffhanger Episode: while the Kickstarter takes place, I’ll be posting short stories on this blog and elsewhere to promote the project. The last one of these episodes should appear directly on the Kickstarter backers' page. World Supplement: this is the second part of the booklet, which describes the setting, much like a game supplement would, with historical facts, geography, realms, unique features of the universe, major characters, the main faiths, plot devices, monsters, etc. Softbound/Hardbound Booklet: there will be two versions of the booklet—softbound and hard cover. Both are color, but the hardbound has much better paper and printing which is especially relevant to the quality of internal color maps. So far, the plan is to offer these booklets either via DriveTru RPG or CreateSpace (to be determined). Honor Roll: the list of backers at Master level and above appears inside the booklet. If you plan on connecting with me at the convention, here is my daily schedule. 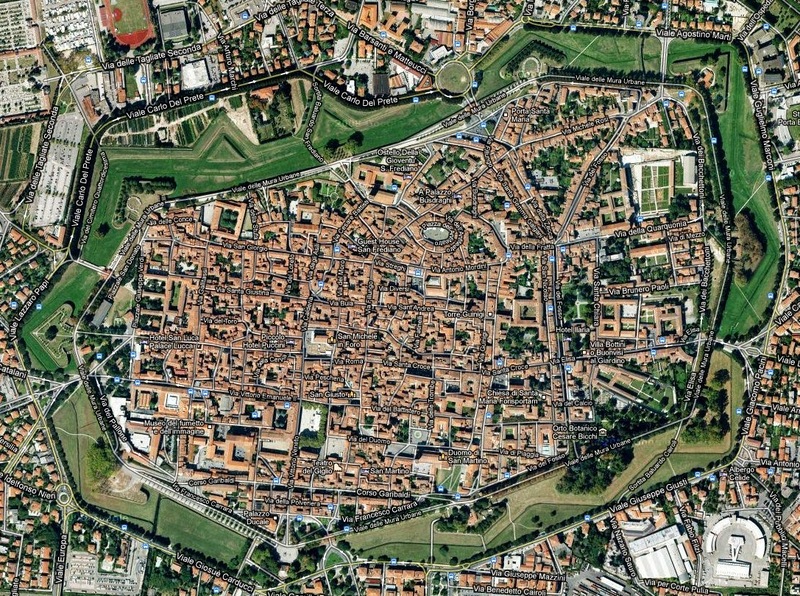 The convention is located in the beautiful old town of Lucca in Italy. The high points of my participation include the opening of the TSR Showcase, a world-building seminar, and two game sessions I'll be DMing. 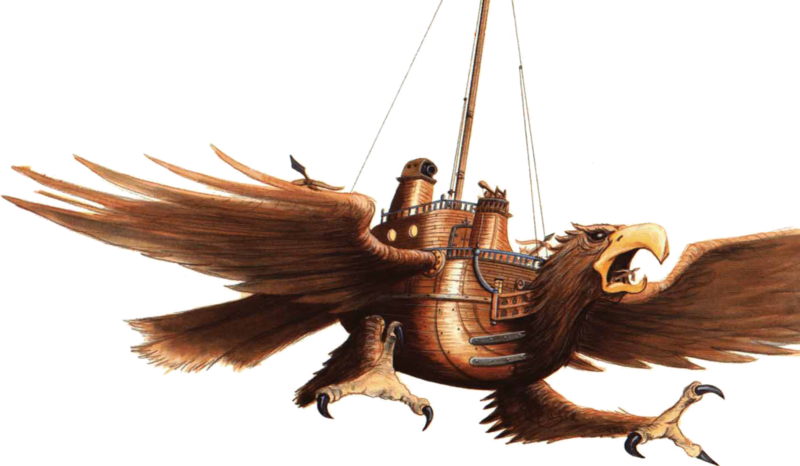 The adventure is designed for Expert-Level D&D and involves (you guessed it) skyships. 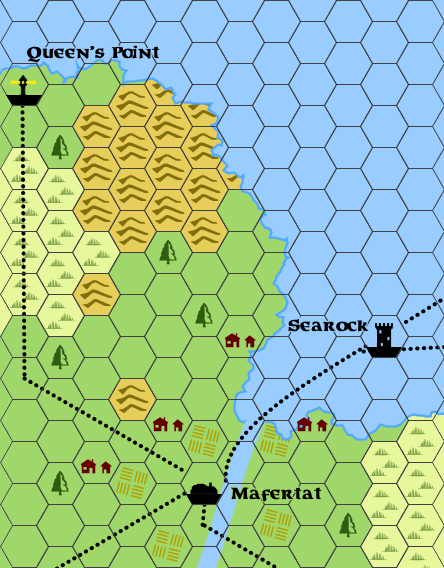 It starts off in the Kingdom of Ar and, if the players can solve the first part of the adventure fast enough, to a Principality of Glantri (I'm not saying which). I believe there is more than can be played in three hours, so it'll be more about how far players get than whether the final goal is actually reached. 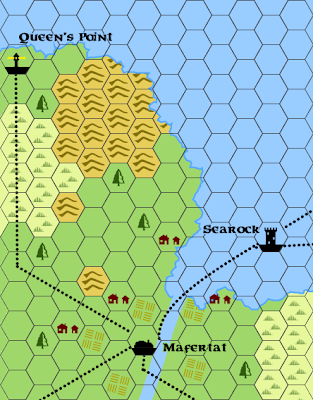 For those of you who will not have the opportunity to participate, fret not, for I shall post the adventure, complete with maps and pre-generated characters, right here on this blog, after I return. The seminar also includes a Q&A session during which, if the opportunity presents itself, I'll gleefully talk about the new project, the World of Calidar. In retrospect, I'm very pleased with how the Frisland articles turned out. 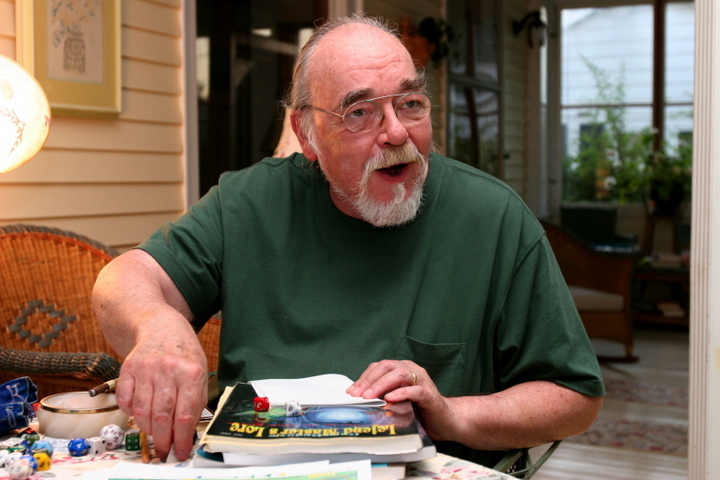 Geoff Gander was a key contributor, the original designer for the Outer Beings developed years ago as an adaptation of the Cthulhu mythos for the D&D game. He will be picking up where I stopped on his blog starting November 1st this year. As a final note on this--I noticed that once again Blogspot failed to update the bloglist, so this last chapter may go unnoticed by many in the blogosphere. I am therefore posting another link here for those of you who may have missed the release. With some luck, the blog list will update this time. Pretty please. . . Continued from "Frisland: County of Hosseta"
Bone-eaters, jack-o-lanterns, scarecrows, mandragora. . . Orzafeth is a land of many mysteries and dangers. There, risen from ancient times, two sinister willpowers fight to revive their realms. Though supremely deadly, neither are what they seem to be. 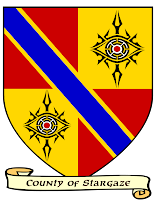 History: The County of Orzafeth once was a kingdom allied with the Ogam. The original monarchy had accepted mountain tribes and their shamans in its realm in a bid to improve land fertility. It succeeded, but it also led the population to become followers of the Outer Beings. Emanations of chaos engulfed the old kingdom and spilled over into the neighboring realms, prompting them to go on a crusade. Horrors summoned by the shamans defeated the crusaders, which compelled Emperor Alphas III to intervene. The Outer Being worshipers were defeated at great cost. 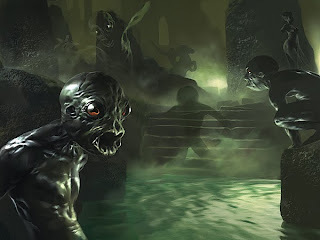 Besieged in their capital city, the last Orzafethians self-destructed during a lurid ritual, their souls departing to feed their outer world patrons. Since then, the capital city’s twisted ruins have remained cursed and prone to permanent emanations of chaos. The old monarchy having vanished during the self-immolation, Sundsvall appointed a family to administrate the new county, now a dominion of the Kingdom of Greater Frisland. Save for the mountains themselves, Orzafeth is the next most dangerous place in the realm, with unexplained phenomena, poisonous flora cropping up unexpectedly, and bestial incursions spawning from unseen gates. Despite a high military presence and repressive laws, Orzafeth remains a treacherous place to live. Continued from "Frisland: Maegryn of Searock"
Bulwark of Freedom, Inheritors of the Glorious Banner, Shining Heart of Frisland and Greatest County of them all. . . Not everyone agrees, but Hossetan inflated pride is easily pardoned thanks to their popular beers and fine chocolates. Hosseta is the smallest of Frislandic dominions. Its origins go back to a small Alphatian kingdom carved out of the wilderness, before the time of Old Argonath. Tucked between the Malfati River and the northern Kerothar Range, it survived the unkindness of time and war. After the ill-fated Orzafeth crusade had foundered, its old dynasty was replaced as the result of its duplicity in the plot to misinform imperial circles. When the Kingdom of Greater Frisland was reestablished, the small realm returned in the form of a county subject to royal authority in Shiell, with imperial supervision from Sundsvall. Maegryn is a reclusive spellcaster who made her home on the island known in Wyllareth as Searock, near Mafertat, more than a century ago. Calling the damp, salt-encrusted, gull-infested rock an island is at best charitable, as her equally damp and salt-encrusted tower occupies almost every square inch of it. Wyllarethians who are aware of Maegryn believed her to be long dead, but whenever storms lash the shores around Mafertat, the superstitious are prone to recall the legendary rage and spitefulness of the sea-witch. History: In truth, Maegryn, in whose veins runs the blood of generations of Antalian sea-witches and Alphatian mages, is the last in her line. She is potent combination which, combined with her passionate nature, produced a powerful, temperamental spellcaster whose mood could affect the very weather around her. Her family was initially well connected to the ducal house of Wyllareth, and Maegryn spent part of her youth as a courtier in Mafertat, where she became known for her forceful, but joyful, personality. Her high spirits caught the eye of the duke's eldest son, Dorelion, and the two enjoyed a romantic liaison. The time soon came for Dorelion to spend a season at the imperial court in Sundsvall to complete his education, and he left her his ring as a promise. He soon forgot Maegryn amid the parties and trysts with girls who had more distinguished bloodlines. In the meantime Maegryn waited in Mafertat and obsessed over her promise ring while planning her marriage. Her closest friends, who had connections in Sundsvall and had learned what Dorelion was doing, advised her to forget the future duke and find her own happiness. She would have none of it. Dorelion returned months later, with a young bride. Devastated, Maegryn withdrew for weeks while Mafertat suffered the worst weather ever recorded. Okay, it's official, I'll be a guest of honor at the Lucca Game Fair this fall to celebrate the 40 year anniversary of the D&D Basic Set. Looking forward to meeting new and old friends, and having a great time. "I started creating the Realms in 1966 (when, yes, I was six), as a setting for short stories featuring Mirt the Moneylender (moving along the Sword Coast from city to city, a step ahead of creditors, rivals, and local authorities). It became "the Realms" in 1967. Realms fiction was published (in various magazines in Canada, and a small-press book) from 1966 through 1979, when I started doing Realms-related articles in "The Dragon," as the magazine was then known. "D&D first appeared in 1974, but I didn't discover it until 1975. I converted the Realms to match D&D magic and monster stats in 1978. 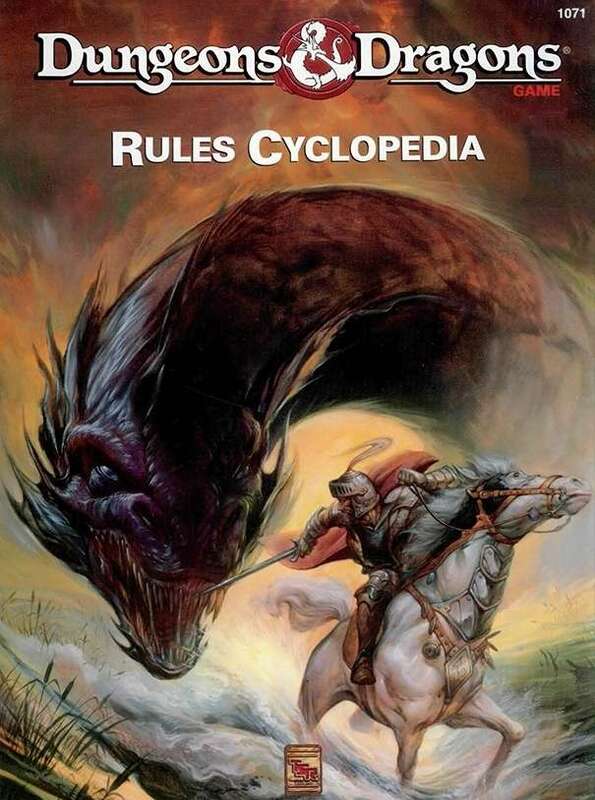 So the published Realms does predate Greyhawk and Dragonlance and the Known World/Mystara (I've designed official material for all of those, Mystara the most -- and it's my dearest love of all the TSR D&D settings after the Realms). "As a D&D game setting, the published-by-TSR (and later also by Jake, in an issue of Gameplay magazine) Realms dates from 1979. Just to set everything straight for those who weren't born, or weren't into gaming, back then..."
A tip of the hat to my old friend, Ed! Continued from "The County of Västheim"
Once ravaged during the fateful Crusade on Ancient Orzafeth, an easy mark thereafter for those dastardly Qeodim raiders, Wyllareth struggled to rebuild itself. After its rebirth as a duchy, its ruler played a new card to solve her predicament. . . or did she? This oblong province runs nearly 400 miles east to west, and 168 miles north to south at its widest spot. Save for the Baalbeth Vale, Wyllareth is as hilly as a flounder stuck under Thor’s hammer. . . and about as joyful. It is a sinister land, overcast, cold, windy, devoid of much population, and marked with scars of war still visible to this day. Wrecked towns and strongholds altogether fail to qualify as ruins, but more as ruins of ruins, following the vicious de-Orzafething campaign to eradicate all things harking of Outer Beings. What Alphatian inquisitors did not raze had already been desecrated, crushed, and desecrated once more by the fiends of Orzafeth. What little was left was hastily buried or scattered. Continued from "The Marquisate of Azafeth"
At the tip of the northwestern corner of Alphatia lies the land of a conquered people yearning to regain their freedom. But what can an isolated culture truly hope to gain in the face of the mighty Alphatian Empire? Just short of 200 miles north to south and about as wide, Västheim occupies the peninsula along the Strait of Qeodhar. Cold, wet, and wind-beaten, its soggy grasslands and hills surround the northwestern edge of the Kerothar Mountains. Climate along Alphatia’s northern west coast is similar to the one prevailing in real world Anchorage, Alaska—temperatures average between 50° and 65° F. in the summer (from 10° to 18° C.), and 11° to 23° F. in the winter (from –11° to –5° C.) Though winters tend to be mostly cloudy and snowy, weather remains unpredictable; while one year may see several feet of snow accumulation on the ground, another could experience frequent thaws and ice buildup during the nights. Winds generally blow across the Sea of Alphatia. A mild sea current flows from the south before turning eastward around the northernmost cape, and becomes colder in the Strait of Qeodhar. Temperatures drop rapidly in the mountains. In the vicinity of Widzif, daylight hours in the summer exceed those in the winter due to the region’s latitude. Original settlers were Antalians, fearless navigators and warriors who’d sailed eastward from faraway Brun. They’d named this land Østheim centuries ago, although it later became known as Västheim (pronounced VEST-high’m), the Kingdom of the West, reflecting an Alphatian point of view. It is only one of many changes imposed by the wizardly conquerors. 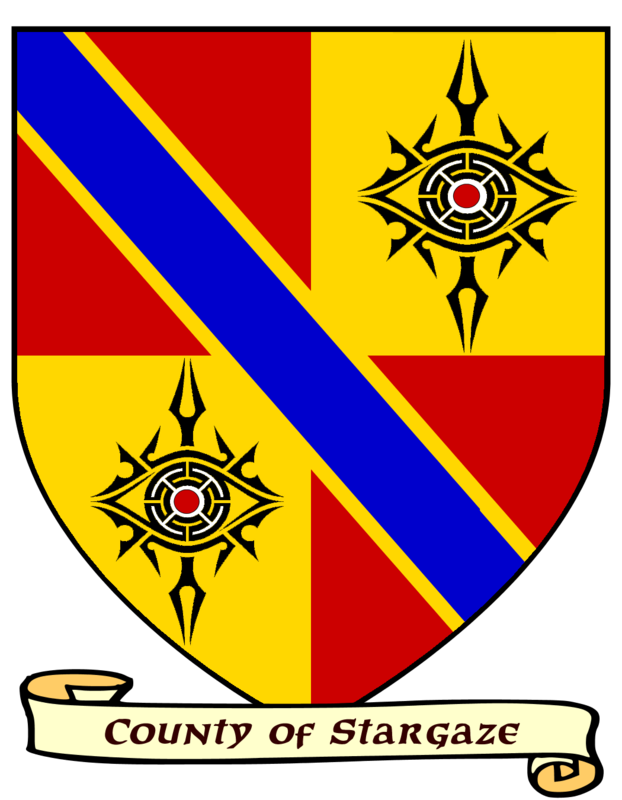 The present county dates back to the establishment of Greater Frisland as a subject kingdom of the Alphatian Empire, centuries after the fall of the old Antalian kingdoms. Since then, the inhabitants have become somewhat more mixed in their cultural and racial heritage. Dark-haired and pale skinned Alphatians as well as copper skinned Cypric have mixed with local Antalians, showing Yanifey influences as well. In Västheim, the Ogam seem like a distant peril, an ugly and shameful disease that struck their southern cousins which, thankfully, has been averted here. In the minds of the locals, it instilled a concept that their land is therefore unsoiled, somehow holier, and more righteous than their neighbors’. Västheim’s relative economic strength, at least from a Frislandic point of view, only helps reinforce this strong parochial mentality. Sure enough, Blogspot once again failed entirely to update the blogroll with today's article. I posted this extra note to nudge their worthless bones and perhaps get such an update. Sorry for the added entry (and I'm not sure this will actually work). If you saw the notice in the blogroll, click here to return to the intended article or scroll down if you just happen to be on the home page. Since my last announcement regarding the "Princess Ark Reboot" (those of you who've been following me know what this is about), I've been busy working on outlines for the new world, the new ship and her crew, and the story plots. It's been getting thicker and very exciting. I can say without hesitation that the alternative setting offers quite a bit more depth and potential than Mystara ever did. I doubt that you will be disappointed. I will probably release shorts on this blog and elsewhere on the net to offer peek previews. Until then, patience my dear friends. The cake is still baking. I haven't had the time to create another blog for the story reboot, and I hesitate using this one since it seems to be permanently malfunctioning (the blogroll not updating). Now that I managed to post a new Mystara entry, I'll spend more time on the reboot, and on the next article--the Kingdom of Frisland. 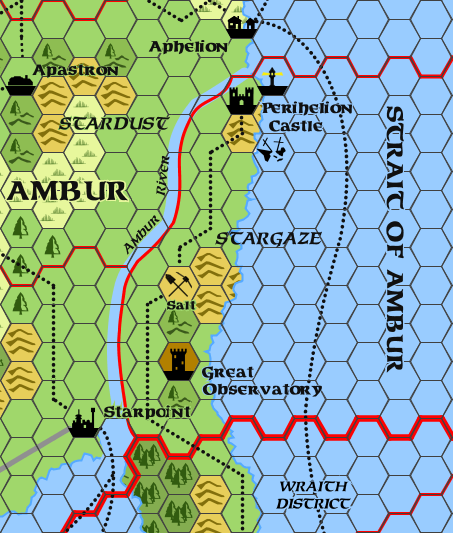 This last dominion in the Kingdom of Ambur is a long sliver of coastline stretching 80 miles north to south between the Strait of Ambur and the Ambur River. Its successive counts were chiefly responsible for pressuring Amburian monarchy to issue the Starpoint Edict, and for provoking the Twin Peaks Campaign soon thereafter. They bore the largest share of the cost of the military campaign into what would later become Aran territory. The invasion eventually failed and, as a result, the heirs to the county have born grudges against both Foresthome and neighboring Ar. Soon after Ar established their hegemony over the eastern shores of Crystal Lake, the Counts of Stargaze vowed to never again be caught at a disadvantage. The campaign nearly bankrupted the county. Today, farming prevails along the river, yielding velvet-coated winter pears, magically enhanced turnips and spinach, and the local specialty—explosive mustard seeds used in the making of the heart-warming condiment. Fishing and sheep-herding are more common along the coast. With inland farming, these generate a meager income for the counts. 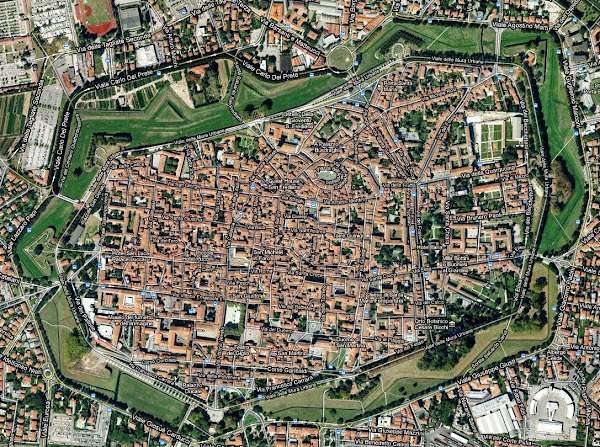 The lack of a large town is the biggest drawback. The present count, his family, and their retinues reside at Perihelion Castle, an imposing stronghold overlooking the Amber River’s mouth. The fact that royal funds largely financed its construction has been quietly forgotten, save for a required presence among its garrison of a Queen’s Detachment. 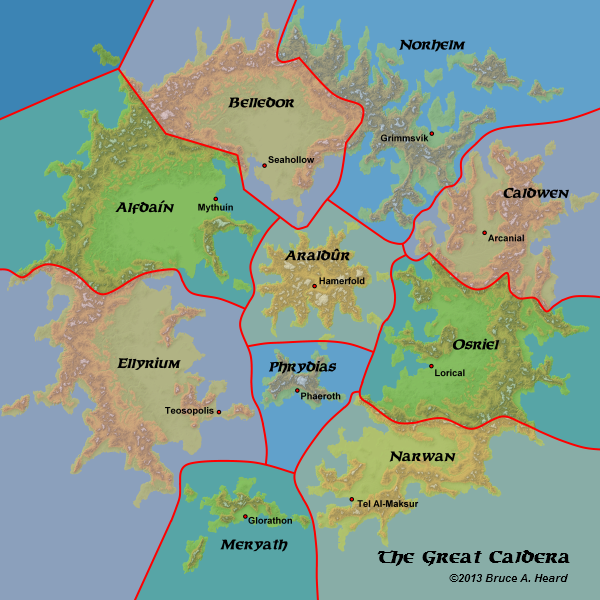 Perihelion-upon-Ambur, a village with a port, occupies the lower banks at the river’s mouth just outside the castle. All river traffic must stop here and pay passage fees, generating a substantial part of the county’s income. Another source of cash resides in the salt mine halfway down the county. The challenge for Stargaze has always been the development of a better source of income, which coincides with the vows of its counts never again to be caught at a disadvantage. Once again, Blogger has failed to update the blog roll. If anyone knows how to fix this ongoing issue, please let me know. I just posted a new article. Click here to view it. This dominion, at the northernmost point of Ambur, is as much versed in the rational observation of the firmament as it is immersed in the mystical decryption of fate written in the stars. Prominent Skyglinters devote themselves to the study of planetary alignments and the secret patterns of stars which, when paired with one’s exact date and place of birth, determines auspicious and inauspicious days in one’s life. Their accuracy is reputed throughout the empire, and the majority of Alphatian aristocracy seeks their guidance. This small dominion lies by the Town of Grand Conjunction (3,200 inhabitants, plus 100 troops). It is Ambur’s second busiest port and a key stop of seagoing vessels rounding the tip of Alphatia from the Sea of Zebulon to the Strait of Yannivey. Low sandstone cliffs edge the county’s coast, except for Grand Conjunction’s vicinity. Two important lighthouses and several smaller ones near the port’s inlet help guide ship traffic to the harbor. The area is prone to violent storms, due to its position at the edge of two seas. Though current is strong off the coast, ice may build up outside the harbor during the coldest months. Wizards regularly descend upon the inlet, shooting balls of fire to melt the ice. These events draw throngs of curious and awed townsfolk and result in impromptu festivals in the port area. Many a wizard will adorn the mighty displays with faerie fires and other arcane fireworks for the pleasure of the count and the good people of Grand Conjunction.